Mint by Keep it 100 Salt E-Liquid is a totally refreshing menthol vape for a minty fresh vaping sensation every time you inhale. 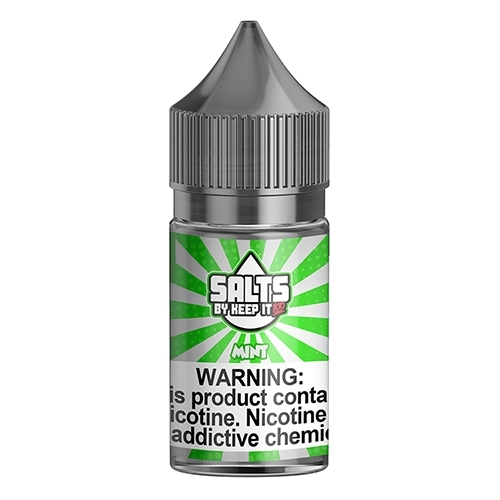 Salt nicotine vapers can enjoy this high quality premium vapor in a higher nicotine level without all the harshness associated with traditional high nicotine e-liquid. This smooth hitting nicotine salt ejuice is perfect for POD MOD vaping. Grab one today! Try Mint Salt ejuice in 30ml bottles at the best vape prices online at Ejuice Connect.